To the Inuit he met and from whom he learned, he was known as "Inuktitut Aglooka" -- "Long Strider." He was John Rae who first set out to become a medical doctor; and became an explorer of Northern Canada. Rae was the first to report, due to him listening to the Inuit, the fate of Franklin and his men. Rae was known for his "length, speed and variety of his journeys." He never had many men with him on these journeys and he purposely travelled light, Eskimo fashion; he carried very few supplies and was an expert of living off the land, even those of the frozen north. His approach is to be compared with the costliness and the lavishness of the naval expeditions. The authorities, however, became unhappy with John Rae. As we have seen from the main work, Lady Jane Franklin did not like what he had to say after his return to England in 1854, to tell of "His Eskimo Stories" of cannibalism. There was another quarter which did not much take to John Rae, either: the Admiralty. 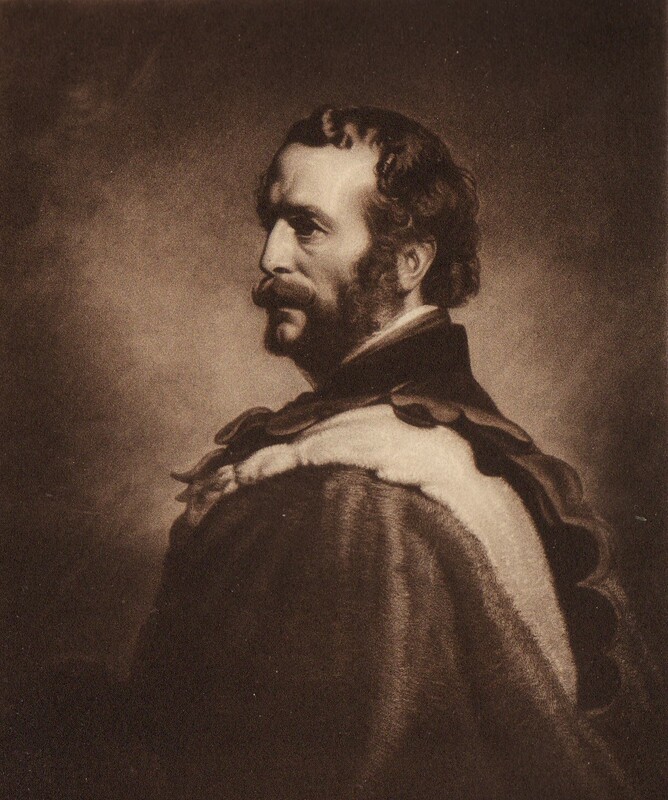 In 1856, John Rae resigned from the Hudson's Bay Company after 23 years of service. Between the years 1857 and 1859, Rae made his home in Hamilton, Ontario where his two brother ran a meatpacking business.3. Rae married in 1860 to Catherine Jane Alicia. She was 21, he 46. There were no children of this union. After the marriage the couple went back to Britain to live. Mrs Rae lived on after her husband's death in 1893; she died in 1919 at Kent, England. Though it seems every leader of any of the expeditions sent to see what happened to Franklin, received a knighthood: John Rae did not. He did have the support of his superior George Simpson, who wrote at least one letter5 to the government leadership, maybe more. "The honour of Franklin's fate" should be reserved for Dr. Rae. "His long & arduous labors in the Arctic regions & this important service with which they have been closed, seem to me to entitled him to some mark of distinction at the hands of his Sovereign and I should think the public would consider a knighthood well earned and worthily bestowed." This piece of information in to be considered when reflecting on Rae's character. He often showed disdain for anyone who could not see it his way; he had a "habit of expressing his views to anyone who would listen. "7 The result is that "Rae made bitter enemies." One of the principal criticisms of John Rae, is that he was selfish in returning to England directly after determining where Franklin and his men likely came to grief. This he did, his critics complained, rather than of setting out immediately to the place, south of King William Island, where valuable evidence might have yet existed, instead of returning to England. His critics continued, that he returned to England to collect a reward which had been made by the government. Such an offer had indeed been made, though Rae explained he had no knowledge of it, busy as he was in the north. The reward was for 20,000lbs, which he eventually did receive; and, Yes, over the objections of Lady Jane Franklin. John Rae died at London in 1893, at the age of 79. His body was brought back to his beloved Orkneys where he was buried in the churchyard of St. Magnus Cathedral at Kirkwall. 1 His boyhood was spent in the rural setting of the Orkneys. His young life was spent with his brothers (there were a number of them) hunting with a long gun, tracking on foot, and other useful activities for a budding explorer; not insignificantly, he became an expert in the handling of small sail boats. I should note that two of his brothers came to Canada and set up business at Hamilton; Rae, on a couple of occasions made the trip to visit them. 2 See Traill, pp. 380-1. 3 See McGoogan, Fatal Passage: The Story of John Rae, The Arctic Hero Time Forgot , page 273. 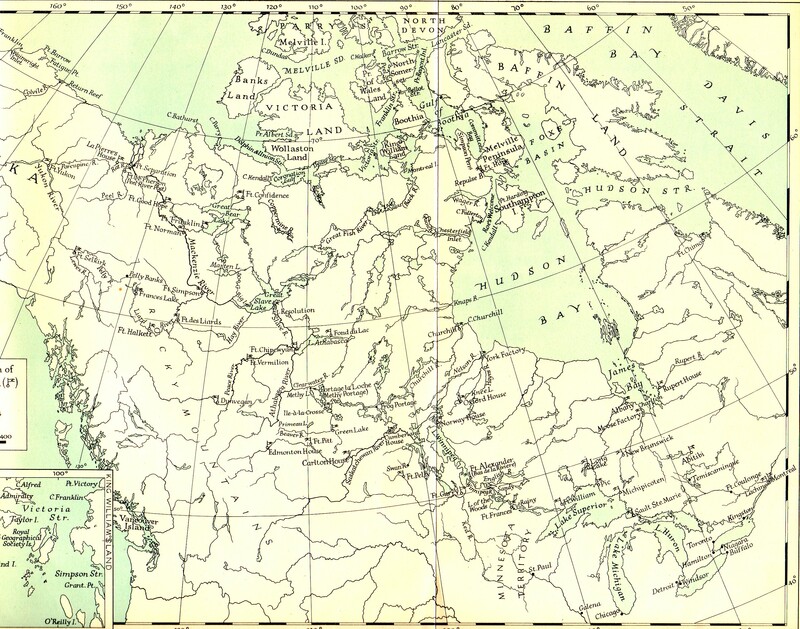 4 Rae's Arctic Correspondence, 1844-55 (London: The Hudson's Bay Record Society, 1953) p. ciii. 5 See the one dated October 23rd, 1854, sent from Montreal. Rae's Arctic Correspondence, 1844-55 (London: The Hudson's Bay Record Society, 1953) p. 345. 7 Rae's Arctic Correspondence ... , pp. 294-6.